Are you still manually programming your robot? Why not fully automate like Focus Auto Design Inc. based in Calgary, Alberta, Canada. 11/29/17, 09:44 AM | Industrial Robotics, Factory Automation | Motion Controls Robotics, Inc.
RobotShop.com, the world's leading source of robotics technology, announces that it expands its operations to Germany. Having sold a half million robots is a key milestone for FANUC, and were looking forward to expanding our capabilities to keep pace with the growing demand for automation." Today, Japan�'s manufacturers deliver 52 percent of the global supply. These are results published by the International Federation of Robotics (IFR) ahead of the International Robot Exhibition (iREX) in Tokyo - November 29th - December 2nd 2017. 11/27/17, 05:14 AM | Industrial Robotics, Factory Automation | ABB Inc.
11/26/17, 04:44 PM | Industrial Robotics, Factory Automation | Servo2Go.com Ltd. The DigiFlex® Performance™ panel and pcb mount servo drives offer full tuning control of all servo loops and are designed for distributed or centralized servo systems. 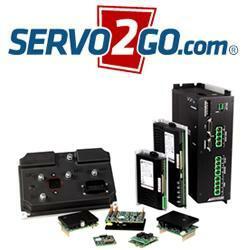 These servo drives utilize CANopen® communication and are commissioned with AMC's user friendly DriveWare® Software via an RS-232 interface. In Munich, from 19 to 22 June, 2018, automatica will show why the automation industry is getting excited about new developments in service robotics, how these robots are seeing strong growth and are even emerging within some unexpected areas. On Nov. 29-30 KUKAs Metal & Arc TechCenter grand opening will feature thirteen live robotic automation demonstrations, tours of the new TechCenter and presentations on the latest technology.